Screenshot via The Chicago Sun-TimesArthur Jones. 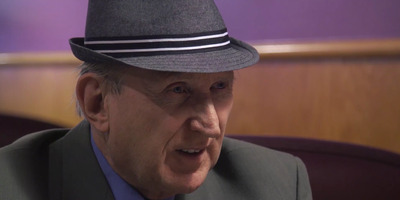 Former Nazi party leader and Holocaust denier Arthur Jones will likely become the Republican nominee for a Congressional race representing the Chicago area. Jones has run for office in the Chicago and Milwaukee areas before, but this time, he is running unopposed. He will almost certainly lose to one of two Democrats competing for their party’s nomination in the deep blue district. A vocal Holocaust denier and former leader of the American Nazi Party stands positioned to clinch the Republican nomination in the race for Illinois’s 3rd Congressional district, the Chicago Sun-Times reports. The self-described white supremacist, Arthur Jones, is running in the Republican primaries in the congressional district, which runs southwest from Chicago’s downtown into the city’s suburbs. In deep blue Chicagoland, Jones is running unopposed for the party’s nomination. The local Republican party though has roundly denounced Jones and his white nationalist agenda. “The Illinois Republican Party and our country have no place for Nazis like Arthur Jones. We strongly oppose his racist views and his candidacy for any public office, including the 3rd Congressional District,” said Tim Schneider, chairman of the Illinois Republican Party. Jones has been a vocal activist against remembering the Holocaust, and in 2009 protested the opening of a Holocaust museum in Illinois. The Anti-Defamation League has watched him for years, according to the Sun-Times. Jones has run for office several times in Milwaukee and Chicago, and has tried to run for Congress in the third congressional district seven times in the past. But this is the first time that he could land on the ticket because he is the only Republican running. Jones will almost certainly lose to either incumbent Rep. Dan Lipinski or his primary challenger, Marie Newman, both of whom are Democrats.